Tapentadol (in the form of Nucynta ER®) was FDA approved for diabetic neuropathy pain on August 29, 2012. This is especially timely considering the recent brouhaha initiated by PROP. It is in fact the first opioid to be approved for chronic pain with an additional specific indication for diabetic peripheral neuropathy (DPM). Tapentadol is a unique opioid in that it has both µ agonist activity and is a norepinephrine (NE) reuptake inhibitor. Some have likened it [incorrectly] to tramadol. While there are some similarities, there are very important differences. For example, the µ receptor binding affinity of tramadol is 6000x less that of morphine, similar to dextromethorphan, but tapentadol binding affinity is just 50x less; tapentadol has ONLY NE reuptake inhibiting properties, but tramadol has both NE and serotonin (5-HT) reuptake inhibition activity, the latter of which may increase risk of serotonin-mediated side effects; and the pharmacokinetics are worlds apart. Tapentadol is chemically most similar to tramadol when compared to other opioids. Its binding affinity to the µ-opioid receptor is significant, earning tapentadol schedule II status from the DEA. Tapentadol and tramadol are 3-(dimethylamino)-1-ethyl-2-methylpropyl]phenol monohydrochlorides and 2-[(dimethylamino)methyl]-1-(3-methoxyphenyl cyclohexanol hydrochlorides respectively. Practically this means if a patient has difficulty tolerating a chemical class from more traditional opioids, tapentadol or tramadol may be viable options. The metabolism of tramadol is dependent on cytochrome P450 (CYP450) iso-enzymes 3A4, 2D6, and 2B6. Tramadol’s NE activity discussed above is relatively low compared to tapentadol and SNRIs such as duloxetine (Cymbalta®) and milnacipran (Savella®). Tramadol’s µ-opioid receptor (encoded by gene OPRM1) is affected by the parent drug and O-desmethyltramadol (metabolite M1). In actuality, the M1 metabolite contributes to more analgesia than the parent compound, the combination of which is likely enhanced by the scant NE reuptake inhibition, but first pass metabolism is required prior to any significant opioid analgesia. Further metabolism of the M1 metabolite occurs via N-demethylation to N-desmethyl-tramadol (M2), which is ultimately catalyzed by CYP2B6 and CYP3A4. There are at least 3 more metabolites (M3-5) that are ultimately glucuronidated to inactive forms in the liver. Obviously, this is quite complex and creates a large potential for drug interactions with CYP450 substrates. Per update to this blog on 12/19/2014, tramadol is now a Schedule IV by DEA regulation. Tapentadol conversely does not rely on the CYP450 system for metabolism and the metabolic pathway is pretty simple, lending itself to virtually no drug interactions specific to CYP450. But of course, the same precautions are necessary when combining tapentadol with sedatives and/or respiratory depressants (For other warnings and prescribing information, see package insert). Seventy percent is excreted in urine following conjugation, 55% as O-glucuronide and 15% as sulfate; a small percentage is eliminated as parent drug. From a practical standpoint, the significant NE activity of tapentadol makes it particularly useful for neuropathic pain syndromes. From a clinical standpoint, we generally reserve chronic opioids for treatment failures on other medications or for patients in whom risks of other therapies are NOT outweighed by benefits (i.e. alpha-2-δ-subunit calcium ligand gated ion channel inhibitors; gabapentin, pregabalin in fall-risk patients). It’s certainly no secret that usefulness of serotonin norepinephrine reuptake inhibitors (SNRI’s) for neuropathic pain is well established. Examples include duloxetine (Cymbalta®) and milnacipran (Savella®), with few toxicities compared to traditional tricyclic antidepressants (TCA’s) options. Perhaps the landmark study outlining NE as the essential crème de la crème activity required for neuropathic pain analgesia by antidepressants is Mitchell Max, 1992. Max compared amitriptyline (NE & 5-HT) to desipramine (NE only) to fluoxetine (5-HT only) to placebo. Patients on amitriptyline or desipramine responded equally well for treating DPN, but fluoxetine and placebo patients responded equally poorly. This outcome suggests that for TCAs (and most likely all antidepressants), NE alone is responsible for DPN analgesia, but presumably 5-HT activity [alone or combined] contributes to annoying side effects and an increased toxicity profile. Kudos to the FDA for recognizing an important niche’ for tapentadol in the treatment of diabetic peripheral neuropathy. For more information on unique opioids in the treatment of neuropathic pain, see “Treatment of Neuropathic Pain: the Role of Unique Opioid Agents. Practical Pain Management” on paindr.com. In 2013 I had surgery to remove a neuroma from my left foot. I continued to have severe pain in that foot, but now instead of a quarter-sized area of pain, there was a burning pain that encompassed the entire forefoot. Orthopedist performed a 2nd surgery, going through bottom of foot, removing more nerve tissue. I was left with the severe pain, diagnosed with CRPS. Over the past year I’ve been taking Nucynta along with gabapentin. Nucynta has been a life-saver. I’m able to continue working as an RN (only part time though as medications keep me fatigued). It absolutely is the best medication for neuropathic pain I have ever used. Unfortunately, all good things must come to an end as Nucynta has become too expensive (~$230.00 month w/ coupon for 50mg tablets) for me to afford. My doctor and I both think Nucynta ER would be best medication for me, but it’s even MORE expensive ($638.00 month!!!). Started Butrans this afternoon, just applied the patch. I’m hoping this will give me some pain relief, but I have my doubts. Paid $98.00 for 4 patches to apply weekly. Hoping that one of these days Nucynta will be available in generic form, available to all who need relief from severe neuropathic pain. I’ve been taking nucynta aka tapendol for 6-7 years for extreme fibromyalgia pain. Tried Tramadol, there is no comparison for me.. To me Tramadol was like taking a Tylenol compared to the pain relief Nucynta provides. Only problem is it is not a commonly prescribed medication so be prepared for your pharmacist to have to order it for you, you can’t walk in ANYWHERE any just get it. My pharmacy has been pretty good about reordering monthly for me so I’ll have it. I to suffer from Fibromyalgia, I am currently on the Butrans Patch 20 with minimal success. My doctor is considering Nucynta although I have read some real horror stories. The web can be a blessing and a curse. It is hard to get good information form some these blogs. Have you had side effects for the med? Did you try the Butrans Patch? I would greatly appreciate your feedback. I have a constant pain in my right eye which is more present below the eye lid, on the slope of the nose, near the sinuses and above the eye lid, behind the eye. Doctors have tried to treat it without any success for 5+ years and the smartest doctor that believe has the opinion of trigeminal neuralgia. I’ve been on pregabalin and tapentadol for about a year a with about a month and a half of break in between. Somehow, the pain is slightly less but i do no feel relief, if tapentadol is 50x less than morphine, how is it not effective for facial pain? Edmblyt; I cannot give medical advice on this form. 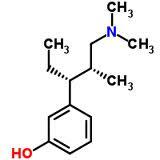 Tapentadol does have opioid activity and it also affects intra-neuronal neorepinephrine. Different pain respond differently to opioids. There is an explantion of this that includes and compared tapentadol HERE. I just used a online Doctor, and he suggested I take tapentadol and amitriptyline together for pain. I have cervical spine fusions, Fibromyalgia, and neuropathic pain. I believe the tramadol is making my hair fall out. I see my rheumatoid arthritis doctor in April, but I will see if I can get in under side effects. I wouldn’t have the quality of life without Tramadol, but I want have my hair if it’s Tramadol making my hair fall out. I just would like to see if Tapentadol would work, and my hair would stop falling out. About 26 years ago a Pain Doc. put me on Tramadol because he refused to prescribe Hydrocodone , because it worked at the time. After a week on tramadol I started to have a increased heart rate that made me feel like I was about to pass out or faint. One afternoon after taking 4 that day , 1 four times a day I could feel my heart rate speeding out of control and it scared me. A friend put her ear to my chest and sure enough my heart was beating way too fast. I called my pain specialist at the time, same one that lied to me about having a surgeon to surgically fix my cervical spine if I where to go in to detox for 2 weeks, I told him what was happening and his response was,” IM NOT BUYNG IT MARK “, I JUST DONT BELIEVE YOU. He said I was the first patient to complain about the side effects of tramadol. Never in my life have I had such a rude doctor , he didn’t like men his age a little younger or a little older ,he was my age at the time 43 years old. He saw older men as a father figure and older woman as a mother figure and gave them what they needed for chronic pain. But for some odd reason men his age he saw as a threat. I never could figure him out and he did me wrong. I didn’t know much about chronic pain at the time and the treatment of never ending pain. A year later a certain Pain Doc. finally got my chronic pain under control by titrating me up slowly using OxyContin and I couldn’t believe the pain relief I received from this miracle medication at the time. I just don’t understand the hate some people harbor for others around them , like that of opioid zealot haters. Mark, Thanks for your note and participation. As you probably know, it is not uncommon to have such a reaction, especially if 50mg 4x daily is started right off the bat without a slow escalation – it’s likely because of the serotonin activity. Another plausible explanation is explained here in a recent post, One Size Opioid Dose Does Not Fit All. Tramadol relies on 2D^ enzymes (explained in the post) to convert it from inactive parent drug tramadol the active form, o-desmethyl-tramadol. An ultra-rapid metabolizer would make the conversion quickly and achieve higher levels of the latter potentially making it more difficult to tolerate. Happy Holidays! My mother is an acute patient of Osteoporosis and lot of deformities, with very low bone density and completely immobile. I am giving Tapentadol (75mg) a day . She still complains of pain in her legs and hips. What do you suggest. Her Ceratin level are normal. Shall we go back to regular Acetofelenac which now a days is avoided by doctors? She is also on FORTEO for bone density. LET ME KNOW IF TAPENTADOL IS BETTER THAN DE TRAMADOL wich one is better ??? I HAVE A LOT OF PAIN IN ALL MY BODY NEUROPHATIC CRONIC DIAbetic and alcohoplic very stron pain . Since tapentadol has a higher NE to serotonin ration and less complex metabolism, virtually no serotonin activity, limited drug interactions, and better mu receptor affinity at opioid receptors, it is in general a better drug.